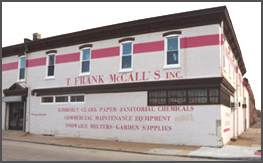 A name you can remember, from a supplier you can count on – over 140 years as a Family Owned Business. $200.00 minimum order is requested for free freight in our delivery area. Orders under $200.00 will be charged a $20.00 delivery fee. Orders out of our delivery area will be charged current freight rates. Guarantees and WarrantiesAll manufacturers’ warranties are passed directly to our customers. All merchandise is sold without warranty or other liability of any kind, except as expressly stated on, packaged with, or accompanying such products. If you need an immediate delivery not on your scheduled day, call us to discuss. 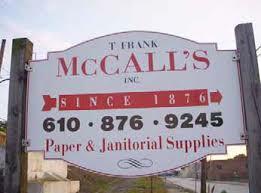 It is our hope that we can be your janitorial/paper distributor of choice. We strive to be the easiest distributor to do business with by providing great personal service, quality products and competitive prices. We answer our phones and do not have voicemail. Every employee is expected to make emergency customer deliveries when necessary and we always follow up! 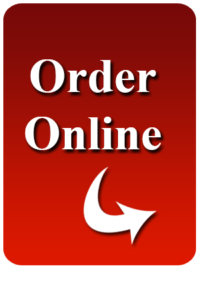 Please take a look at our online catalog to place an order, or give us a call at 610-876-9245. We also have a retail store for you to shop in. Come see our original seed bins! We look forward to hearing from you.